Opponents of consumerism please avert your eyes, we are simply doing our part for the world economy, rescued one lulu purchase at a time. 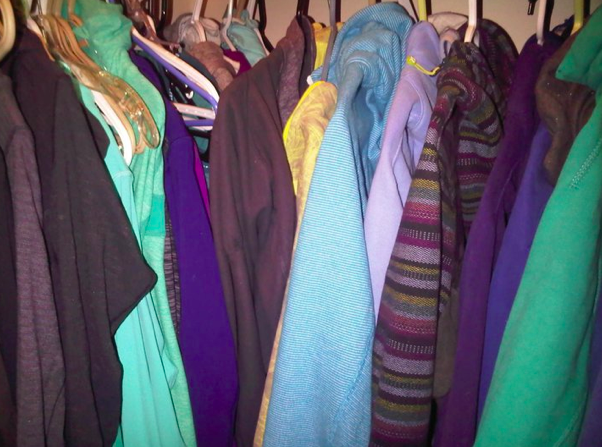 This is the start of a new series of posts showcasing the closets of readers. I’ll be keeping these images anonymous to protect those that sent images from closet looting. I can already see items in there that are making me want to raid your closets. If you would like to participate, I would love to collect your images for future posts. Email me at [email protected].I think we all enjoy the lulu eye candy. 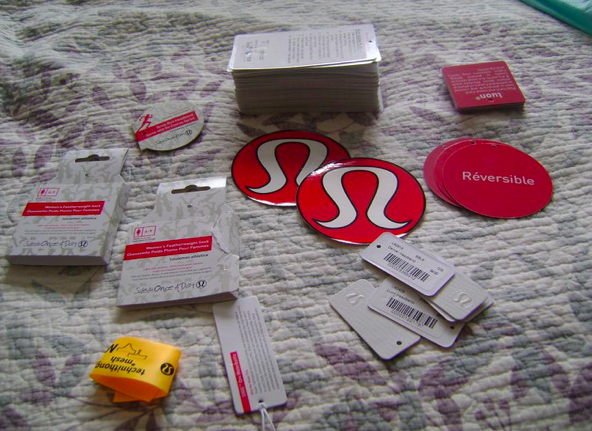 Somehow it’s funner seeing generations of loved Lululemon items all in situ as apposed to seasonal items in the stores. What items do you see in these collections that you wish had been yours? *These are from 4 different readers. Love the Snorkel Micro Stripe Scuba and Multi Poncho Stripe scuba. I spy a Hills Pullover and a Run Spirit Pullover in this collection. I have a weakness for pullovers. This is an epic pants collection. 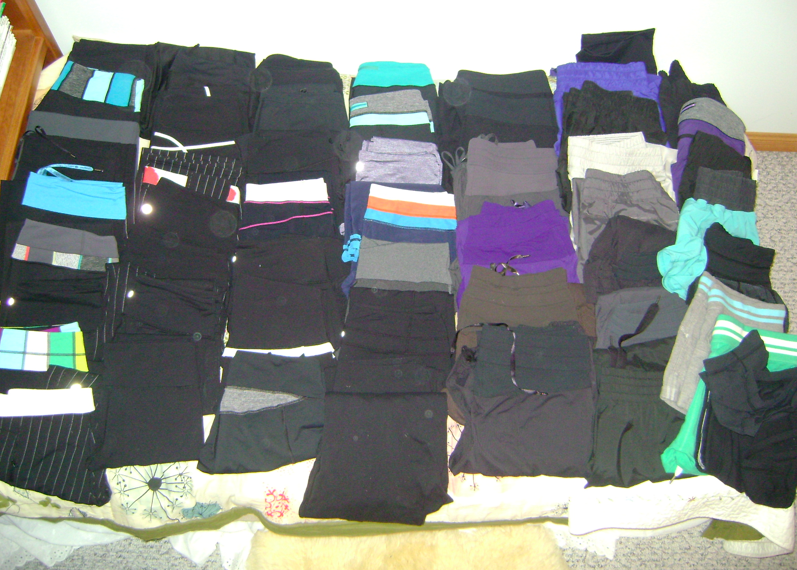 My lulu collection is pretty top half heavy but I tend to ignore the pants. I think I have 3 – 4 pairs currently with a few more in my lulu graveyard, too ratty tatty to sell. I spy a Hot Class Tank or Bra, the Lithograph orchid Pima that I missed out on, a lace print Power Y and a Deep V Tank in a black and white print. I think we can all relate to this one. I have a pretty good stack of hang tags but I scatter them about in different hiding places and I’m nowhere near organized. 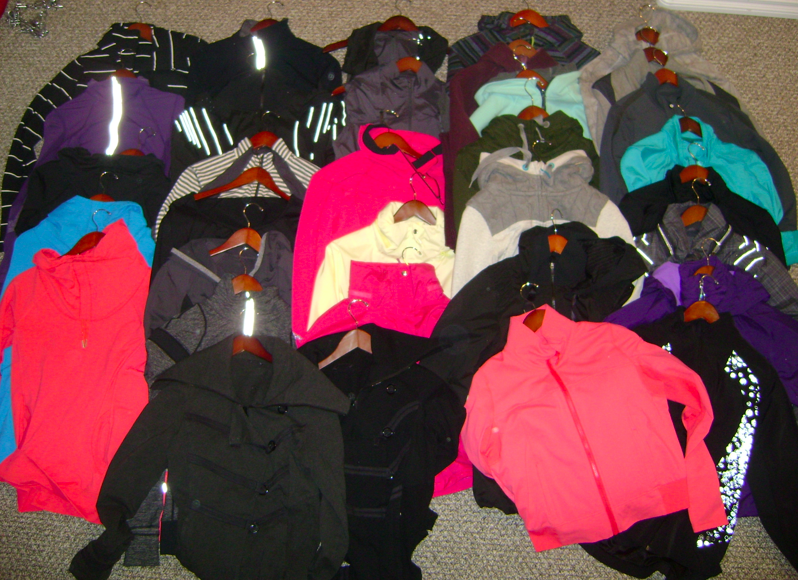 "Confessions: Your Lulu Closets Part II"